The Department of Languages looks back on the longest tradition at Pforte. When the school was founded in the 16th century, at all grammar schools the central aim of education was the perfect command of Latin that allowed the graduates to study at any university in Europe. In following periods too classics, i.e. 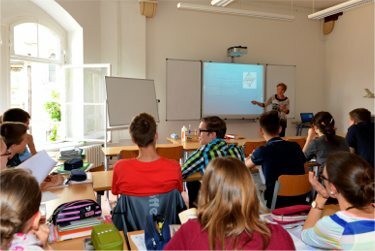 Latin and Greek, played an important role in the German school called "Gymnasium" and they are taught at Schulpforte even now. The present profile of languages, however, is not aimed at classics exclusively. Besides Latin and Greek the modern languages English, French, Russian and Spanish are offered too. From these languages a student of the Department of Languages has to choose four with Latin as a compulsary subject among them. (At the regular " Gymnasium" only two or three foreign languages are standard.) But some students want even more and learn for example Hebrew offered by a minister nearby. The Department of Music was founded in 1982, but there had been a long tradition of successful choirs before. While in times of the German Democratic Republic (i.e. 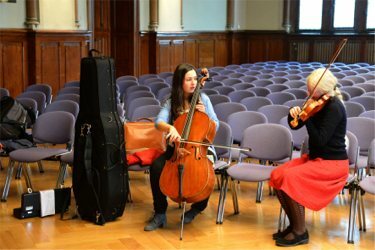 until 1990) the graduates of special music classes often had to become musicians or music teachers, today the students of the Department of Music get the regular school-leaving certificate (Abitur) allowing them to study any subject at university. In addition to this the special aim of the Department of Music is to further their musical talents by a wide training and and so to make them competent and active participants of musical life. 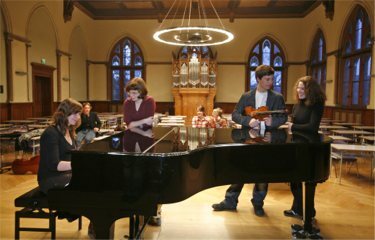 For this purpose teaching and training comprise lessons in history and theory of music, aural and vocal training, piano and (optional) a second instrument. In addition every student of the Department of Music has to join the choirs. Girls start in the Girls Choir, and at the age of 16 they joined the others in the mixed Youth Choir. 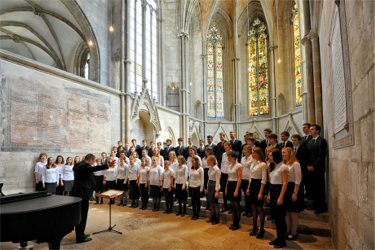 The choirs can be considered the musical "advertisement" for Landesschule Pforta: They do not only provide a dignified setting for all school events but perform concerts even outside school. They already produced some CDs and are used to bringing home prizes from national or international choir contests. Apart from the choirs there are some instrumental ensembles that do not play for their own entertainment only but also appear in public performances both at school and elsewhere. The Department of Natural Sciences is the youngest department at Landesschule Pforta. 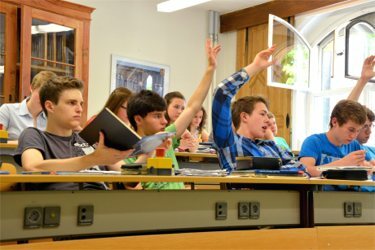 It was founded in 1992 after the decline of the German Democratic Republic by transforming the regular higher education of the GDR, which had concentrated on natural sciences, into an attractive and modern special department. Furthermore, this third department was to complement the entire profile of the school that does not aim at one-sided specialization but at a solid general education in all subjects supplemented by additional activities in a field each student chooses according to his special interests. 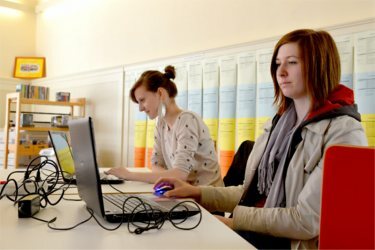 Students of the Department of Natural Sciences get additional instruction in computer sciences and astronomy. Furthermore, they have more lessons in maths, biology, chemistry and physics. In addition there are lots of excursions, regional contests and informal work shops. Students of the senior classes do some practicals for one year in an industrial company or research institute of the region where specialists take care of their instruction. For this purpose one afternoon of the week is free from any lessons at school.